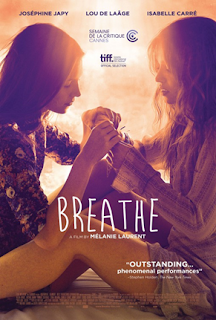 Breathe (recommended): Mélanie Laurent’s film about two high school girls and their occasionally close, usually volatile relationship is an involving exploration of the nature of high school popularity and how it completely rules teenagers’ lives. Now playing at Laemmle’s Royal and Laemmle’s Playhouse in Los Angeles. Read my review from yesterday. Heaven Knows What (mixed bag): Everyone seems to love this story about a homeless drug addict in New York City, but it really didn’t do it for me when I saw it at the New York Film Festival last fall. Actress Arielle Holmes, playing a version of herself, is compelling, but that’s about it. 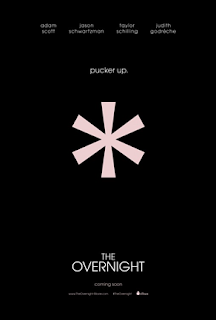 The Overnight (highly recommended): This irreverent comedy was one of the funniest films I saw at Sundance this past year, thanks in large part to superb performances all around from Taylor Schilling, Adam Scott, Jason Schwartzman, and French actress Judith Godrèche as two couples brought together by their young children for an unforgettable wild night. Closer to the Moon (anti-recommended): This dramatization of a real life heist by Jewish Romanian resistance fighters staged to look like it was a movie being filmed takes what could have been an interesting story and incorporates none of its involving elements into its execution, resulting in a bland and uninviting disappointment of a film. Also available on DVD. 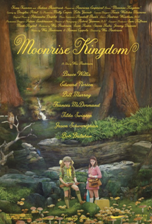 Moonrise Kingdom (highly recommended): His next film, “The Grand Budapest Hotel,” got all the Oscar love, but Wes Anderson’s 2012 period piece about two young campers trying to connect is far better, utilizing his token extended ensemble to tremendous comedic and dramatic effect. 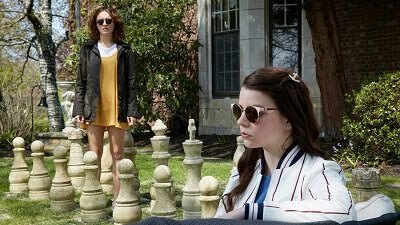 The screenplay is perfect, the music is great, and everything about this film is involving and enjoyable.